Not surprisingly, Welts champions Seattle’s efforts to get an NBA team. He should know. His experience with the Sonics shaped his life. Now, he's entering the Basketball Hall of Fame. This journey to the Basketball Hall of Fame starts in an English literature class at Seattle’s Queen Anne High School in the 1960s. Rick Welts would sit in the back of class with his friend Earl Woodson, a cool kid in school because he was one of the Seattle SuperSonics’ ball boys. Thus began a nearly 50-year career in the NBA for Welts, 65, who will be inducted into the Basketball Hall of Fame on Friday evening in Springfield, Mass., with a class headlined by former Sonic Ray Allen, Jason Kidd, Steve Nash and Grant Hill. Welts is entering the Hall of Fame in the contributor category. Perhaps his most significant achievements came from 1982-1999 when he worked in the NBA’s league office, rising to executive vice president and chief marketing officer, the No. 3-ranking league official. Welts is credited with helping the NBA surge in popularity. He created All-Star weekend, marketed the 1992 Dream Team and was instrumental in launching the WNBA. In 2002, Welts became president and chief executive officer of the Phoenix Suns, leading that team to its most successful years before joining the Warriors, and helping build that team into the best in the NBA. But it all started in Seattle, where he left his mark before leaving for New York. After graduating from Queen Anne in 1971 (the school was closed in 1981), he earned a degree in communications at the University of Washington while working part-time in the Sonics’ marketing and public-relations office. 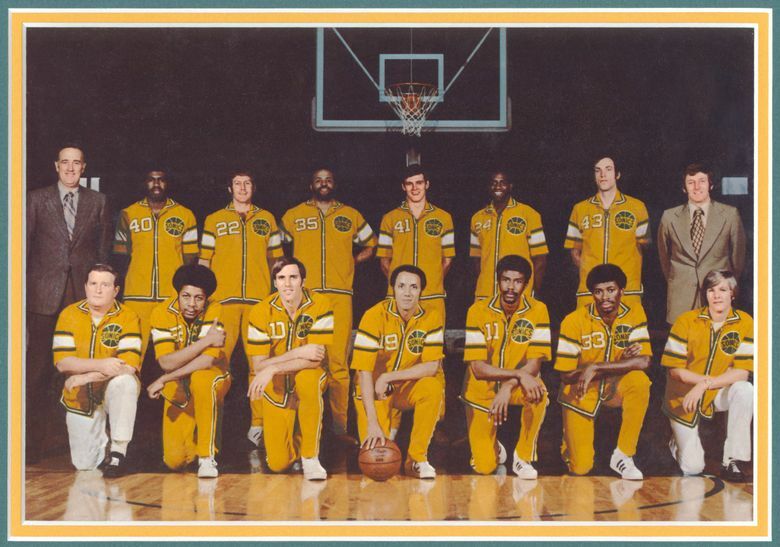 Welts became the Sonics’ public-relations director after graduating from UW, working in that job when the team won its only title in 1979. Welts made a strong impression on Jack Sikma, the starting center on the title team. Welts loved his job, but then came an opportunity in New York he could not pass up as the league’s first director of national promotion. It worked out great, which was no surprise to Sikma, who has remained friends with Welts. But for everything Welts has done in basketball, perhaps his most meaningful moment came in 2011 when he was the first executive of a major sports team to come out as gay. He received thousands of emails and hundreds of handwritten letters of support and thanks. “That’s the most important thing I will ever do,” said Welts, who became a role model to many. “And I try to keep that in perspective. It was a life-changing event that has continued to have incredible rewards, but also has real responsibility going forward. I never had that person (as a role model), and I think my life might have been a little easier if I had. One constant for Welts is his love for his home city. “It’s the best place in the world and I loved growing up there, and I take of lot of pride of being from Seattle,” he said. Welts doesn’t get home as often as he used to, with his parents having passed away and his sister having moved to the Midwest. But he will be back for the Warriors-Kings exhibition game at KeyArena on Oct. 5. He should know. And his experience with the Sonics shaped his life. And it all started when a ball boy moved away. It proved to be much more than just a cool job. “It’s always a joke when I get introduced as a ball boy from the Sonics, but I feel like it was an incredible advanced course in what I am doing today,” he said. “I was the fly on the wall that nobody was paying attention to in the locker room. I watched the interactions between players and coaches, coaches and owner, media and players, training staff and players, that very few people in my job get to see.